From the creators of Wreck It Ralph and Frozen comes Big Hero 6 and it doesn’t disappoint. A treat for kids and adults alike, Big Hero teaches important life lessons such as forgiveness while providing top notch entertainment. 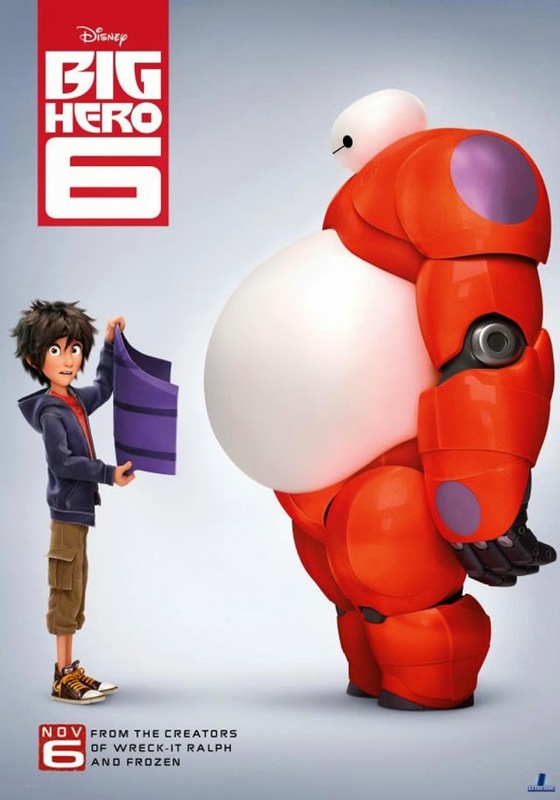 Big Hero 6 follows Hiro (Ryan Potter), an orphaned child prodigy who graduated high school at the age of thirteen and now wastes his potential competing in illegal robot fighting/gambling. His older brother, Tadashi (Daniel Henney), encourages him to use his brains at the San Fransokyo (you read that right) tech university, the school that Tadashi is currently enrolled at. Tadashi takes Hiro to the “nerd room” at the university where he meets Tadashi’s friends — a collection of college geniuses with an array of personalities and unique inventions. Tadashi’s focus of the visit, however, is to show Hiro his own project: Baymax (Scott Adsit), that cuddly, white marshmallow robot from the previews. Tadashi created Baymax to be a personal health care assistant — when a person is in pain, Baymax is alerted and comes to their aid. After the visit, Hiro decides to apply to attend the university by creating these cool mind-controlled, magnetic “mini bots” that join together to build anything your mind thinks of (think of super advanced KNEX toys) But just when he’s accepted, tragedy strikes. Hiro’s creation falls into the wrong hands and the prodigy sinks into depression after a devastating loss. Driven by vengeance, Hiro reprograms Baymax into a reluctant superhero and seeks to take down the villain who has stolen his invention. Hiro and Tadashi’s friends from school invent super hero suits based on the technology they were developing at college and join together to become “Big Hero 6.” Along the way, Baymax helps Hiro cope with his loss. Big Hero 6 has it all: action, comedy (there’s a hilarious scene where Baymax’s battery gets low) and great teaching moments. I would definitely recommend taking the family to see this movie — adults will love it too. In the end, you’ll see that heroes come in all shapes, sizes and personalities. P.S. There’s a pretty awesome cameo after the credits you won’t want to miss!